Did you know that, N.Gopal was in fact the name Narayan Gopal preferred himself to be called. That was why during his entrance to Radio Nepal, he had registered his name as N. Gopal. 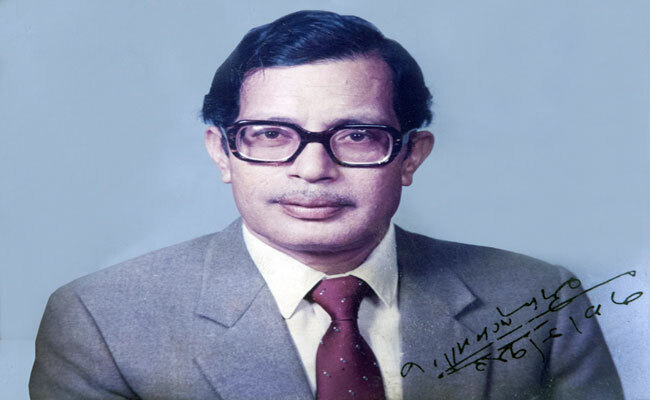 Narayan Gopal was one of those singers who became immensely popular by a minimum number of song. In his lifetime, he had only recorded 137 songs. Everybody's favourite singer is Narayan Gopal. Do you know his favorite singer? His favourite singer of Indian Ghazal singer, Mehdi Hassan. He was such a fan that, he also loved pehelmani (body building) like Mehdi Hassan did. Mehdi Hassan once believed that, in order to be a good musician, one has to get into body building. Well, "Syando Pehelman" - that was the name Narayan Gopal once gave to himself. Although Narayan Gopal's mother language is Newari, he didn't record any song in his mother tongue. He did sing three Newari songs. But, they were not recorded. Initially Narayan Gopal had agreed to sing for the movie 'Maitighar'. But, later he denied singing for it. Narayan Gopal thought advertisements were bad, like tuberculosis, he din't give his voice to any advertisements. He also protested when people tried to use his song in an advertisement. When he was unemployed, Narayan Gopal had also worked as a motor mechanic and there are also reports that he also drove taxi. All his life, Narayan Gopal rode a bike. While he was the managing director of Sanskritik Sansthan, he bought a car for the organization. While working at the Sanskritik Sansthan, Narayan Gopal used drastic tactics to cut costs. He was widely criticized when he sacked 40 artists from their job at a time of Dashain. Those sacked included his own guru Manik Ratna, artists Sushila KC and Haribansa Acharya. The only award Narayan Gopal got for playback singing was from Lions club. But, Narayan Gopal rejected that award. The organizer, Narendra Shrestha has safe kept the award at his home.